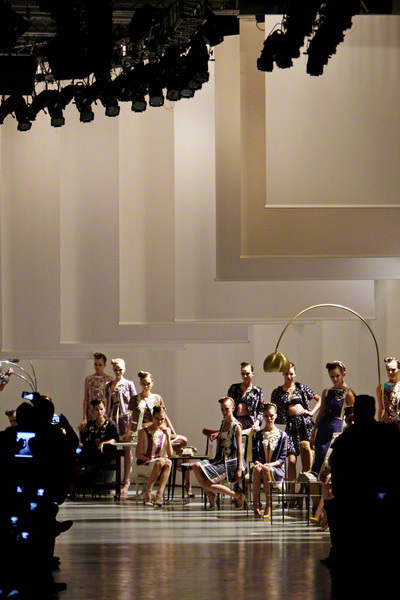 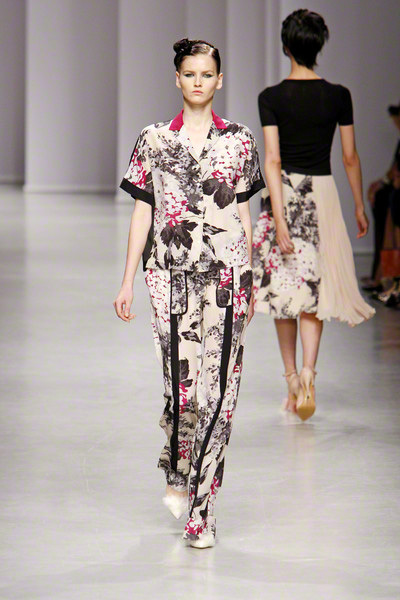 It was a very feminine and soft collection Antonio Marras sent out this morning. 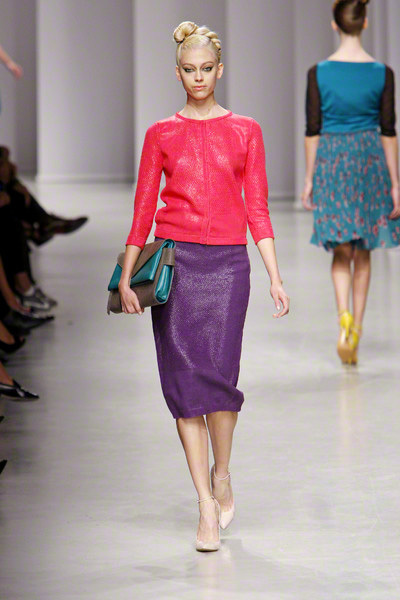 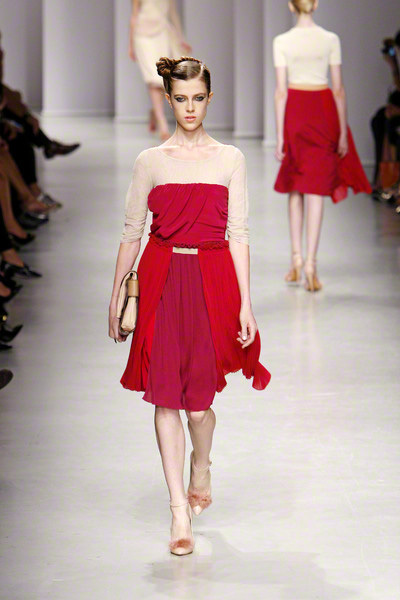 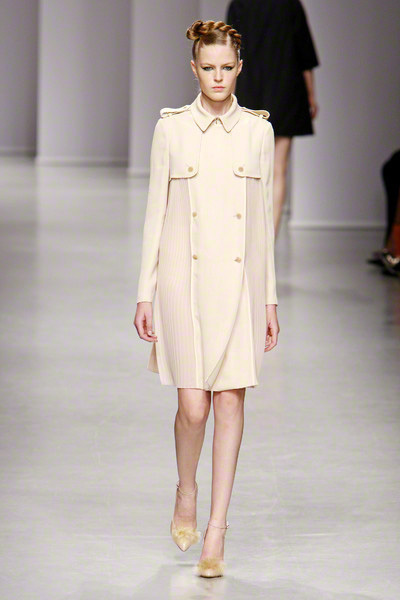 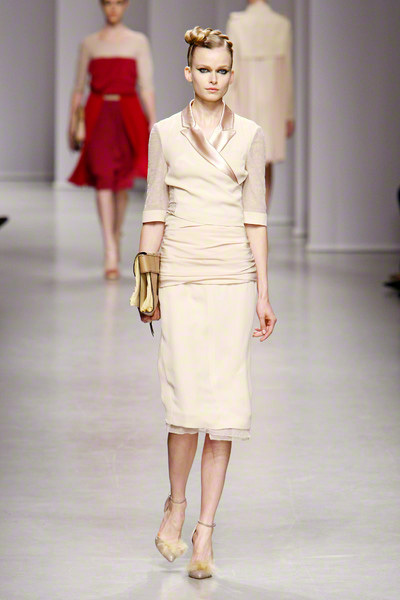 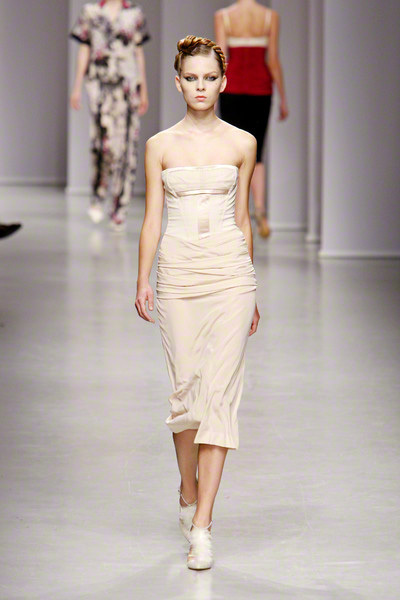 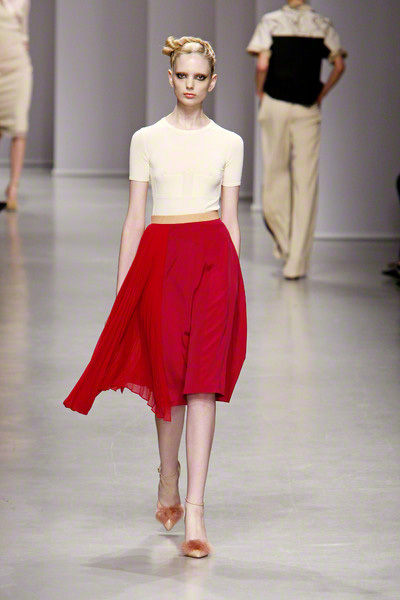 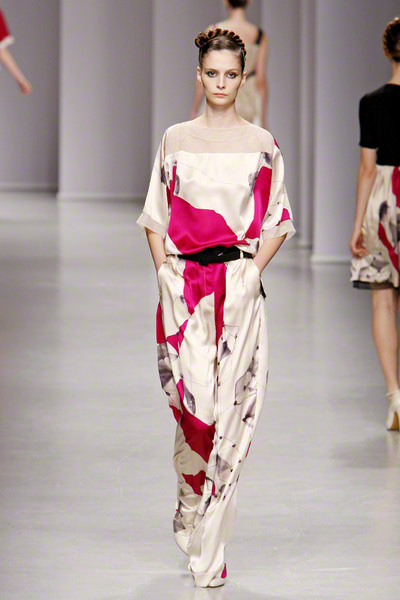 It moved between elegance and casual, color and nudes, prints and plain colors. 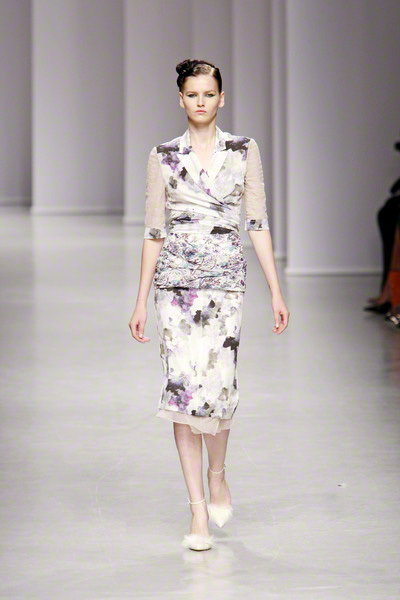 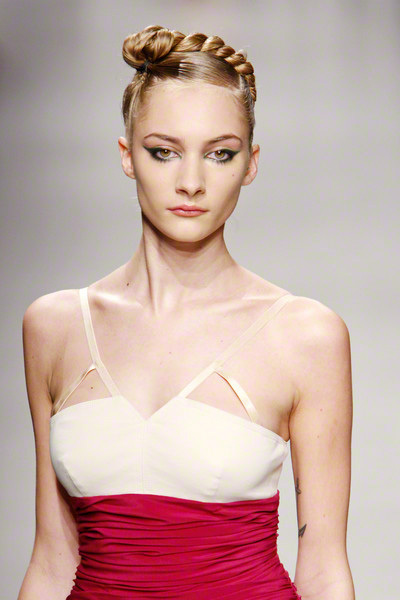 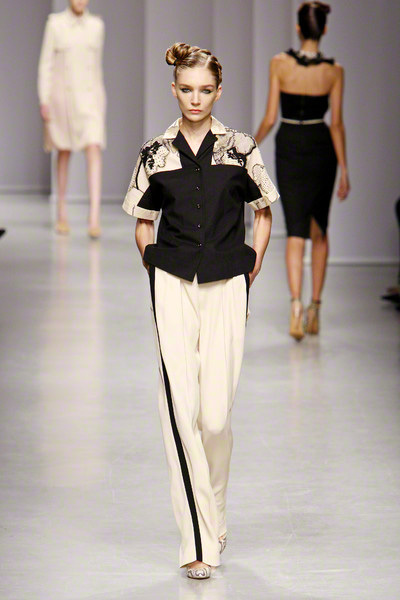 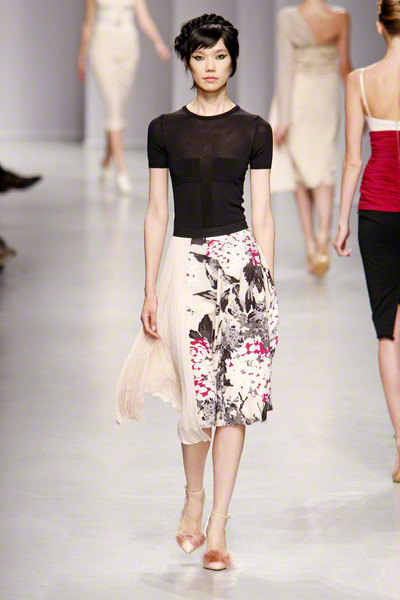 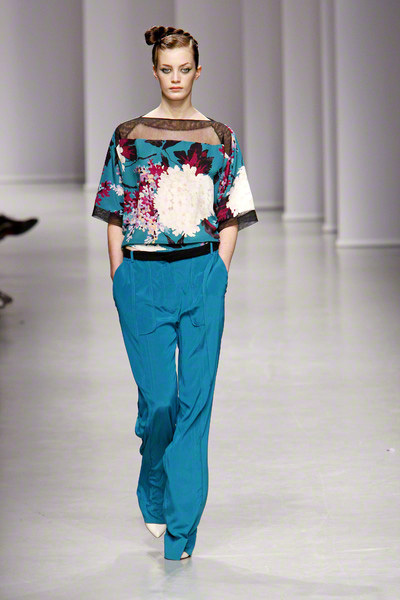 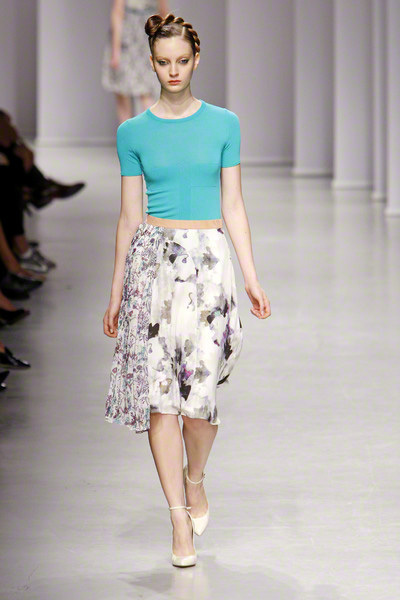 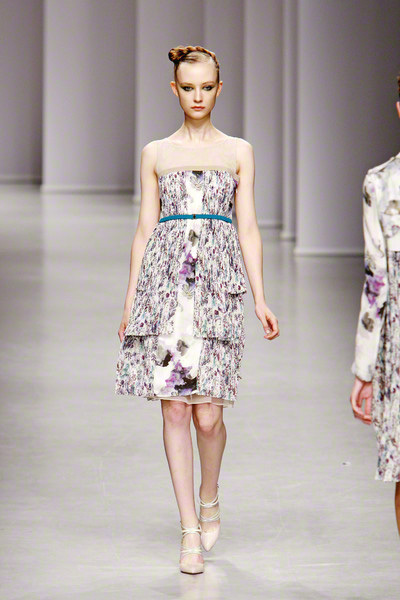 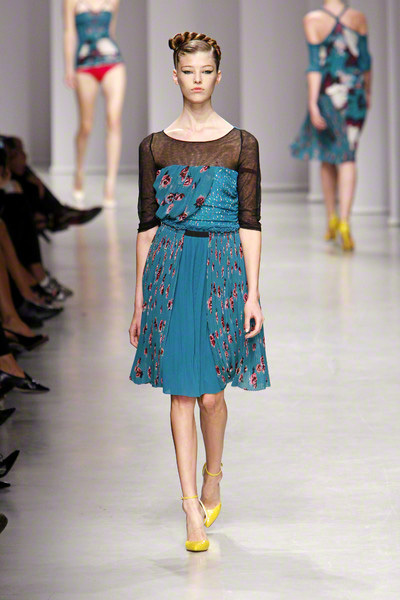 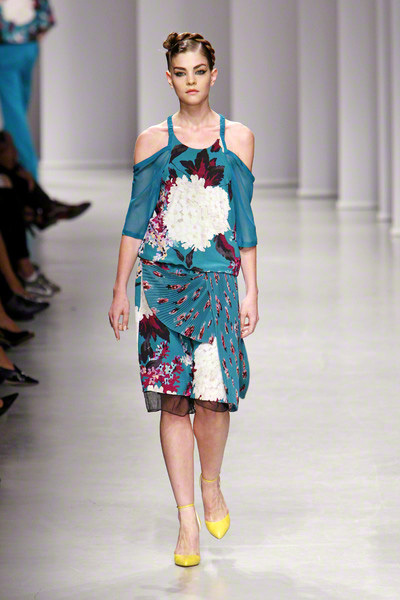 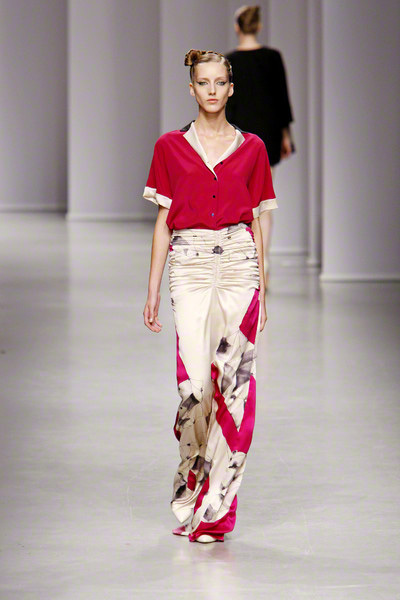 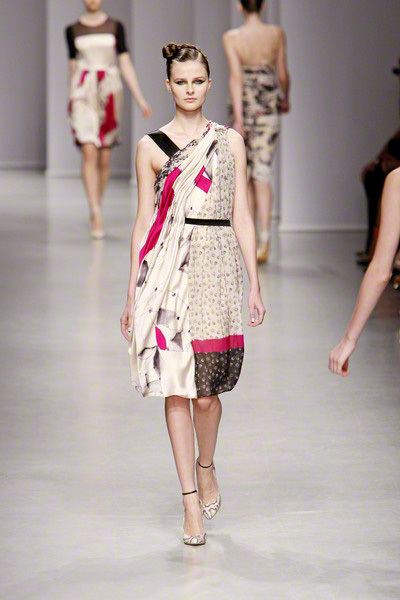 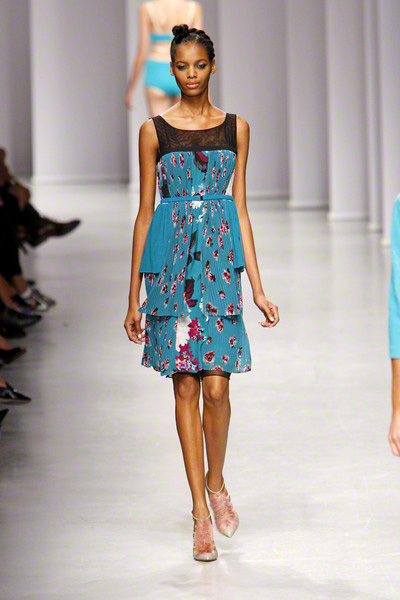 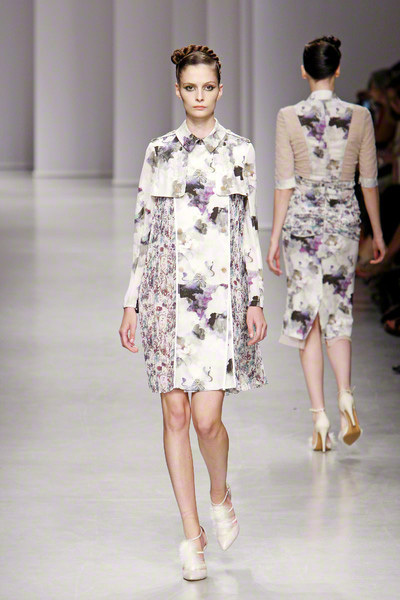 Marras started with floral prints for draped blouses and floaty dresses with a romantic touch. 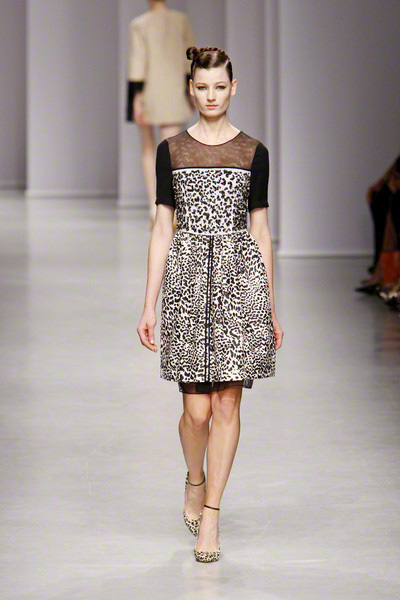 Several emsembles also reminded ofItalian bombshells, like an animal-print jacket teamed with a bra and pencil skirt, or a curvy dress with a molded bust. 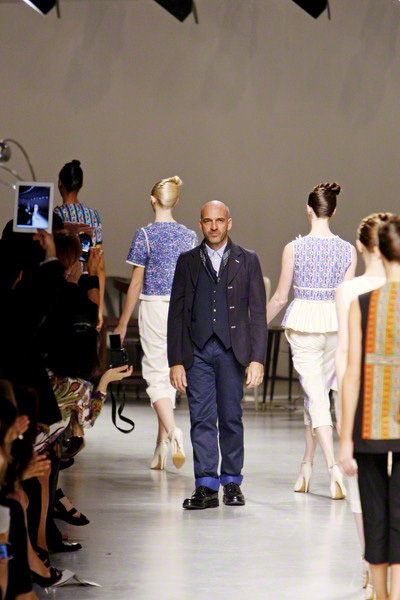 For the finale, Marras sent out a group of his familiar folkloric looks. 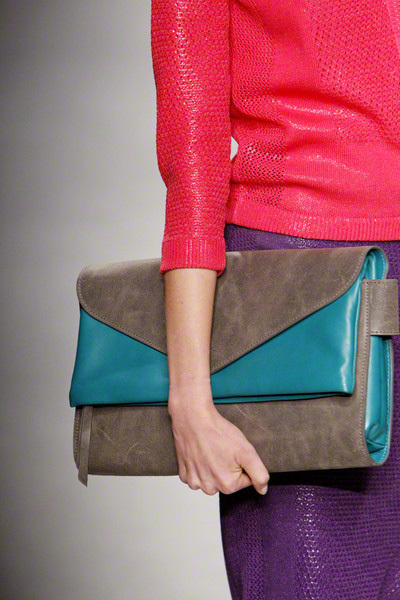 Black and white, blue, purple and red dominated the collection.